Virtualization is a concept of a software defined Data center, where a virtual version of a device or resource is created. Easy locomotion across physical data center sites is a huge benefit when it comes to virtual resources. Virtualization of devices such as server, storage device, network and even an operating system has induced the concept a Software defined datacenter or SSDC. The increasing usage of SSDC has helped organisations in minimising capital expenditure and optimized hardware by using less number of physical servers, decreasing the amount of time consumed install new applications, and reducing costs of power and cooling in an effort to avoid common virtualisation security issues. 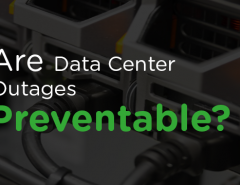 Cutting up on costs – Hardware is mostly the costliest asset of the Data centers. The perks of virtualisation are even higher as it is easy to maintain, consumes less electricity and there are even lesser occasions of downtime. Reducing the cost of hardware is directly proportional to reduced cost. Backup at all times – One can have total backup of virtual servers along with the backups and snapshots of virtual machines. Snapshots can be taken throughout the day, which gives updated data. The virtual machines can be locomoted from one server to another as well as redeployed fast and super-easily. Firing a snapshot is easier than rebooting the server, there is hardly any difference spotted in case of a downtime. Easy to create a cloud based environment – One can easily deploy virtual machines to and from their Data center and enjoy a full-blown cloud-based infrastructure. This actually makes the migration to a cloud a cakewalk. Lesser heat produced – Heat control and abandonment in the data center has always been the topmost concern for all the research and design carried out till now. The bitter truth remains the same that all those servers still generate heat. The only solution to all those problems arising due to the heat generation is to use fewer servers. The technique to do that is by virtualisation. Just by using virtual servers there will be a reduction in physical hardware. Lesser the hardware, lesser the heat generation and that will eliminate all the problems arising due access of heat generation. No boundation of vendors – The virtual machines don’t bother about the hardware they run on, hence, the dependence over just one vendor or type of server and even platform becomes negligible. The best part of a virtual server is its intangible existence which provides the freedom from settling down with just one vendor. Easy setup – In matter of few clicks, virtual machine snapshots can be enabled. It is mostly so fast that end users are hardly able to spot any difference in their experience. 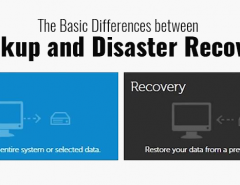 This is the best disaster recovery solution as a once a physical server dies, it is very hard to redeploy. Whereas with a virtual server redeploy can be done in minutes. Perfect for experiments – It is a safe option for when you are testing, even if you end up making a disastrous mistake, you can still go back to the previous snapshot. The data is still there and you can go on without any hassle. The end users are still online and will stay unaware of the testing environments. When you end up perfecting your work you can deploy it as live. The green planet – This also helps in polishing the company’s image on the social front. Sustainable development is the need of the hour. It becomes a moral duty to clean up the environment if you are dwelling your company on the resources of it. The reduction of carbon footprint helps clean the air and atmosphere we live in. 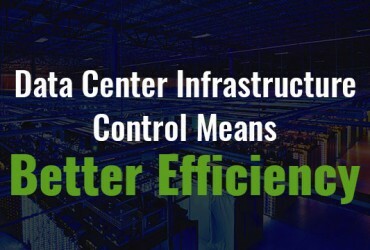 Virtualizing the Data center will not only improve the reputation of the company but, will also help in maintaining good relationship with the consumer and the planet. This can be done by taking the responsibility of pollution generated and taking the steps towards reducing it. The time is changing and it has become crucial to go with the flow so as to keep up with the pace. You must start with migrating your data center to virtualized technology and feel the change, if you haven’t already. Next Article Why Should Companies Choose RackBank DataCenter ?